The first major winter storm has yet to strike the Hagerstown area, but one could pop up at any time. In January 2016, Winter Storm Jonas brought the city to a grinding halt, and you just never know when the next big storm could hit. As a homeowner, it’s crucial to get your home ready for the worst. Here are a few tips from FEMA and Larry & Sons to help you get your home ready for snowstorms and extreme cold. Need help preparing your Hagerstown home for winter storms? Give us a call! 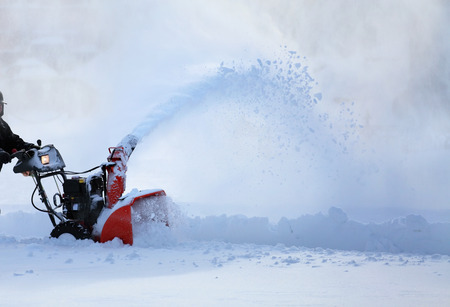 Snow removal equipment, including a shovel, snowblower, etc. Make a family communication plan. Do you know how to reach everyone in your family if you aren’t all together when a warning is issued or disaster strikes? Create a family communications plan to make sure everyone knows how to get in contact and what to do in the event of a winter emergency. Maintain your heating system. Check your furnace filters, and replace them if necessary. Have your heating system professionally inspected, and have any problems corrected before disaster strikes. Invest in a generator. Winter storms can cause extended power outages. Investing in a standby generator is the best way to make sure that your family will be cozy and warm even if there is no power. Get your vehicle ready. During the winter, it’s best to keep your vehicle ready to go for emergencies. Check your antifreeze levels, oil, air and fuel filters and windshield wiper equipment. Also, have a good set of winter tires installed, and keep your gas tank full. Insulate your pipes. Insulate your pipes – especially those that run through basements and attics – to prevent them from freezing and bursting during extreme cold. If you need help with winter home preparation, Larry & Sons can help. From standard maintenance to full system replacement and everything in between, we can help make sure your home is ready to handle anything Old Man Winter throws our way. To schedule service, contact us today by calling 301-733-5428.